This article also shares three insights about organisation effectiveness. 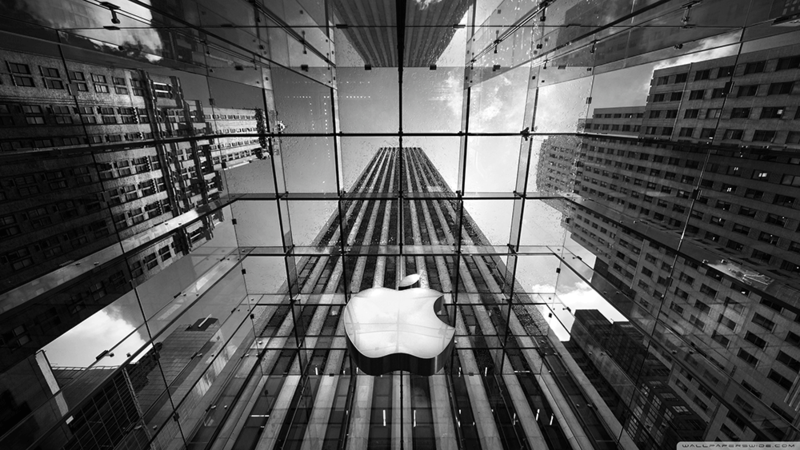 Last week Apple Inc. reported a quarterly profit of $18bn – the biggest in corporate history. Hat’s off – that’s a lot of oil companies to beat! At the same time Tim Cook got a lot of criticism again for Apple’s business practices. These articles and commentaries follow a long tradition of slashing Apple despite it being one of the most purposeful, innovative and value creating companies of all times. Let me say it straight away: I am neither a fan of their tax praxis nor a blind lover of Apple products e.g. I was kicking and screaming when my Apple Powerbook 5300c started to smoke in 1996, and I think corporates should pay the same tax rate as a small business owner. Apple is the most valuable company on Earth repeatedly reports record profits, and has cash reserves of a whopping $160bn (and they didn’t achieve that just by tax evasion). Interestingly, this is not enough for activist investors who are notorious for putting more pressure even on star performers like Apple. When is it ever enough Carl Icahn? Let’s remember that in 1997 Apple was 13 trading days away from bankruptcy. You never forget that as an organisation and so start hording cash in case it gets bad again. Or simply to free yourself so you can make critical choices and long-term bets and implement these innovations consequentially. It is not inconceivable that Apple takes over Tesla Motors or a fashion imperium like Prada in 2015. However, such decade or maybe even century defining moves require strategic clarity, which requires time. If you just chase for quarterly earnings and try to please short-term vulture capitalists, you don’t become Apple or Google. Warren Buffet would agree. Apple gets a lot of criticism for its closed ecosystem and rigid guides for app developers. Really? Partnering with Apple is a commercial offer and not a civil right. Besides, in eight years on the iOS platform I never had a crash, bug or loss of productivity. Can Android or Windows Phone users claim the same? By the way, BMW also have precise requirements for their suppliers, they call it quality control. Yes, the conditions are bad, but instead of accusing Apple, why don’t we point to ourselves? What if your iPhone cost £3,000? True Cost Economics is hopefully the next evolution of global capitalism, but the system change must start with us, the consumers. I boycott Primark, but I close my eyes before Chinese iPhone assemblers and their conditions. And so do you, with every product purchase. The insight business leaders and organisation development consultants can take from Apple and Foxconn is this: there is no ‘broken system’ – it’s a myth. As Harvard’s Ron Heifetz and Marty Linski poignantly say in their book Adaptive Leadership: every organisation is perfectly adapted – the question is to what or to whom? In conclusion, Apple management gets most things right and to all the critics: envy is a lovely sin, isn’t it.